You may think that I’ve turned into an old lady after seeing I spent my day travelling on a steam train and gazing at a sunset, but nope I’m still the same 19 going on 90 year old. The Isle of Wight Steam Railway runs for five miles and the oldest carriage on the tracks was built in 1864, along with the newest which is from 1924. 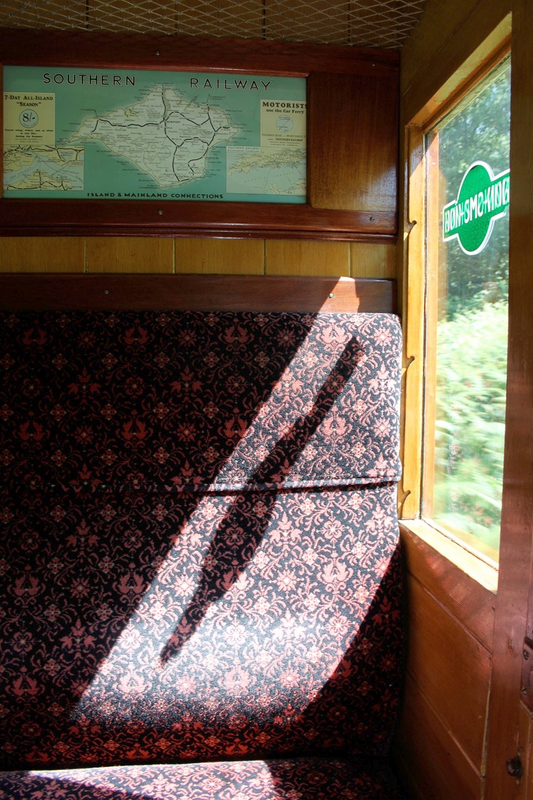 Travelling in one of the old carriages through the sunshine filled fields took me back to my visit to Paris back in May and the Orient Express exhibition there, even if you have no interest in trains the history that surrounds them is always fascinating. They have a 40’s themed day on next weekend (5th & 6th July) which would be the perfect excuse to dress pin up, I really wish I was still on the island to go along to that! Back to the present day and these two naughty pups had been playing in the garden all day long. They’ve now become best friends and constantly tease each other with bones and treats, Milo will definitely miss Max once he goes back home! I’m very tempted to steal him and have three dogs running round back at the house. In the evening while the sun was setting we headed to a restaurant bar right on the seafront, it was so peaceful as there was barely anyone around. If there’s one thing you can rely on for a trip to the Isle of Wight, it’s a cracking sunset. I have my eye firmly set on owning a yacht one day to anchor down right where this one was.